This Victorian Vernacular style house was built in 1895 for A.J. 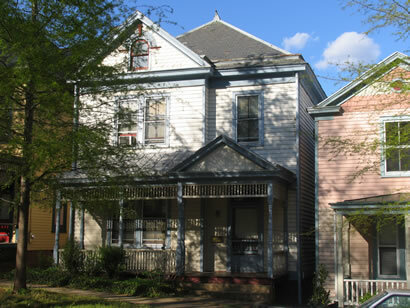 Burroughs, who lived here until his larger home at 220 Madison was completed. E.G. Frye was the architect. Restoration began in 1992.